1972. The year La Vergne was officially incorporated is a bit misleading because the city was here long before then. The small farm community was settled in the 1700s and barely survived the Civil War after almost completely burning. In fact, we were called “Buchananville” at one time. The U.S. Postmaster named the town Lavergne on the day Francois Leonard Gregorie de Roulhac de lavergne died in 1852, and the name (in some variation or other) stuck. La Vergne commemorates its rich past on Saturday, March 12 through a special program called “Celebrate La Vergne History.” The public is invited to stop by the Civic Auditorium, 283 Old Nashville Highway from 3:00 – 5:00 p.m. Admission is free and refreshments will be served. Antiques and photos from the early days of the city are displayed and long-time residents share early memories of the city. So, if you’re free on Saturday March 12th and you love history, you know what to do. 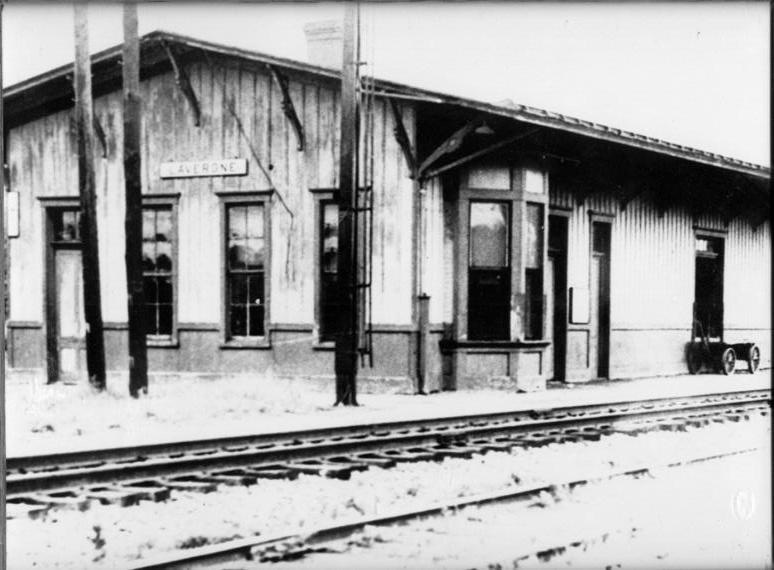 Speaking of LaV history, here’s a nifty pic of the old train depot we had. It’s no Union Station*, but it’s pretty cool. *I’m thinking of the Union Station in Indianapolis. I know there’s one in Nashville but I’ve never been inside it. Yep, former Hoosier here. Yeah. I know. Yay . . . this born-and-raised Hoosier is right here with you and the Union Station in Indianapolis is gorgeous! 🙂 I do have a LaVergne history question, though. Where Waldron Road changes to Parthenon Parkway, the bridge is named after somebody. I can’t for the life of me remember the name on the sign at the moment (I want to say Andrew something?). Do you know who it is and why the bridge was named after him? Crap, I can’t remember. I’ll try to look next time I drive by there. The Andrew part sounds right. It is names after Andre’ Counard(sp) (I think). He was the Mayor of LaVergne’s sister city in France. 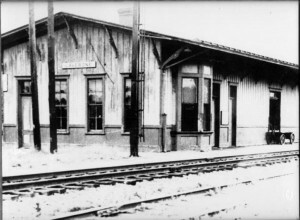 Where was the old train depot located? That’s a good question. Does anybody know? The old train depot was just a little further down from where our existing underpass is now. I want to thank everyone for coming out… one of the Parks & Rec staff told me it was the best turnout ever. I found some interesting stuff, I wonder if this is the same person? 1787 Francis Leonard Gregoire De Roulhac sails from Limoges, France to the island of Hispaniola where he managed a sugar planation. 1791 Benjamin Banneker publishes the first almanac by an black African-American African American and is appointed by President George Washington to help survey Washington, D.C.
1791 Slaves revolt in Haiti against the French rulers and slave owners. Francis Leonard Gregoire De Roulhac was force to leave the island and returned to France.